Specialist Cockroach extermination 1hr Response! Cockroach control covering all of London & surrounding areas including, the West, Harrow & Kingston, the East, Romford & Ilford, The South, Croydon & Bromley, the North Barnet, Watford & Redbridge, Essex, North Sussex, Surrey, Slough, Reading and the Home counties. Being a family run pest control company JG Environmental Ltd are proud of their achievements as a leading pest control company in and around London, because of this you can expect excellent levels of customer service, reasonable prices and a friendly workforce. We provide a guarantee with our work. EMERGENCY SERVICE AVAILABLE – Please contact 0207 183 8906 if you require emergency service out of office hours. 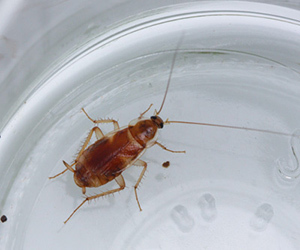 Cockroaches are known to be a very high risk pest, especially in the London and surrounding area, known to spread disease, contaminate food stuffs and attracted to any place that holds food, water and warmth, everywhere can be at risk! 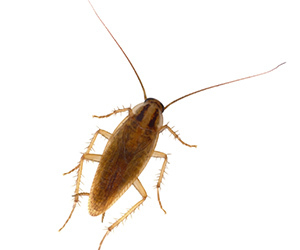 Once you have identified a problem, contact JG Environmental and we will do the rest with our effective cockroach control methods to rid you of your infestation. Cockroaches are an extremely common household and commercial pest, they are know to hold and transfer diseases for example dysentery, poliomyelitis, gastroenteritis & typhoid. 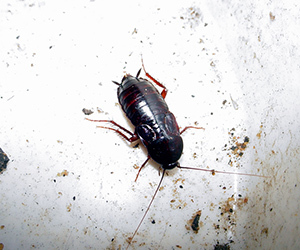 Cockroaches are usually associated with dirt and poor housekeeping however we often find cockroaches will travel from adjoining properties in search for new suitable expansion sites. Cockroaches generally will eat anything, anything that has nutritional value, this includes excrement, their own and other animals- this accounts for the reason why they are known to spread disease and are known to be such a disgusting pest. Their diet often consists of grease build up, left over food, rubbish, and anything they can get basically, this also includes other dead cockroaches as well as your stored food! Once cockroaches infest your food cupboards they are likely to contaminate anything they come in to contact with, usually by laying eggs and droppings everywhere they go, and they are prone to dying anywhere- not uncommonly in stored grains, cereals and other produce. People can also be allergic to cockroaches, especially asthmatics. The most common cockroach we see is the ‘German’ an adult German cockroaches is light brown in colour and the nymphs may seem black. It takes 10 weeks for a cockroach from egg stage to reach sexual maturity and each egg case will hold 30-40 eggs, this is an extremely quick rate of reproduction, it is usual to assume that if you see a cockroach that is the tip of the iceberg- effectively they lay eggs constantly. 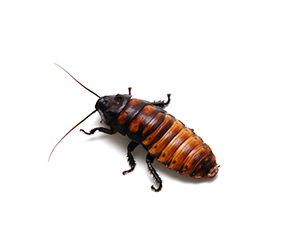 Cockroaches are notoriously difficult to get rid of, however being a cockroach pest control specialist our service is guaranteed. A professional treatment is the only way to eradicate a cockroach problem, cockroaches are extremely good at finding cracks and crevices and naturally incredibly reproductive so DIY methods will often fail. JG Environmental provide a treatment that combines the latest methods and treatments including the use of sprays, fogging, powders and extremely effective professional food substitute gels. This makes the treatments extremely effective. All our field techs are trained to these new methods and all hold relevant certifications so you can rest assured you have the right people for the job. JG Environmental continually strive to provide the best service using the best methods and best products available to the professional market. JG Environmental cover all of London m25 and surrounding areas.